Just got this poster! A friend bought it for me. 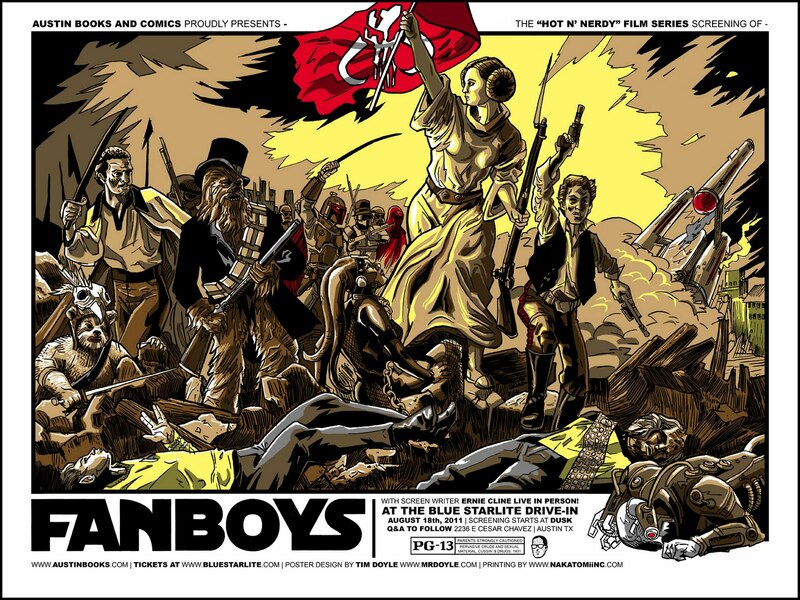 It was created for a special screening of Fanboys by Austin Books and Comics at the Blue Starlite Drive-In. That would have been super fun to go to! 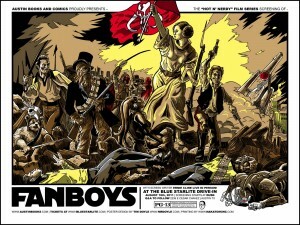 If you’ve seen Fanboys, you will understand it a bit more. But really all you need to know and understand is the Star Wars universe triumphing over the Star Trek universe :) I love the bits of bright red used for Han’s Corellian bloodstripe, the Imperial guard, Rebel flag, etc.